Are the parables concerned about the cost of discipleship or the cost of the kingdom? This is one of the most complex and difficult questions of Gospel scholarship. It is a crucial issue that must be resolved in order to understand the teachings of Jesus. I didn’t want to review Young’s book piece by piece, but taking each of the parables in turn, something new keeps turning up in my perception of the Master’s teachings and I feel compelled to share. The scripture from which I quoted above is actually considered two separate but related parables: The Parable of the Hidden Treasure and the Parable of the Pearl of Great Price. Christian commentators, theologians, clergy, and the average “believer in the pews” believe they have this one figured out. Christian interpretations of the parables of the Hidden Treasure and the Pearl of Great Price show a strong christological interest. Irenaeus taught that the treasure is Christ. Such an allegorical approach has been rejected, however, by the consensus of modern scholars. Origen, too, understood the treasure and the pearl as referring to Christ, but took the allegorical method one step further when he discussed the meaning of the field in light of salvation history. The field represents the Scriptures and the treasure is Christ. The Jews rejected him, hence the treasure has been passed on to the Christians. Frankly, that all sounds horrible. I know from a 21st century church perspective, it may seem “obvious” and easy to come to such conclusions, but when you fit these words back into their original context, coming out of the Master’s mouth, and that his audience was his Jewish inner-circle of disciples, then it seems ridiculous to believe he was teaching such supersessionism. As a kingdom parable, its message is closely tied to other teachings of Jesus in the Gospels. For instance, Flusser properly understands “selling all” as an allusion to “seeking first the Kingdom,” which means that these illustrations are connected to Jesus’ teachings concerning the reign of God (Flusser, “Gleichmisse,” 129-33). Now, at least for me, things are starting to make sense. If the “hidden treasure” and the “costly pearl” represent the coming Kingdom of God, then “seeking first the kingdom” can be linked to searching for that “treasure” and selling all we own, that is, making all of our other priorities and concerns subordinate to the Kingdom. The cost of discipleship is actually a secondary theme supporting the theme of overriding passion for God’s reign. Jesus is consumed with a passion to see God’s rule realized. The kingdom is above all. As a brief aside, I should mention that in Young’s opinion, it is the Kingdom, not the Church that is Christ’s “overriding passion” and the Kingdom is inexorably tied to the primacy of Israel in the redemptive and salvational plan of God. So we must choose an interpretation for these parables: the value of the Kingdom or the cost of discipleship. Young has come to his conclusion but in the immortal words of Yogi Berra, “When you come to a fork in the road, take it.” In other words, is it too much to ask for both? Yes, I’m suggesting (though not demanding) that Jesus could have inserted more than one meaning into his parables. However, based on other material Young included in his chapter, there may be even more going on in these parables. The parables of the Hidden Treasure and the Pearl of Great Price have a rich background in Jewish tradition when viewed in the context of Torah learning. Accepting the kingdom meant entering into obedience to God and searching the deeper meaning of his revelation in Torah. The Gospels portray Jesus as a dynamic teacher; who raises up his disciples for total commitment in the kingdom of heaven. In Jewish thought, the recital of the Shema was the acceptance of the yoke of the kingdom, because one was making a declaration that one has chosen the LORD to the exclusion of all other gods, and God’s way of living life. Praying the Shema opened up communion with the one true God. Such devotion to God and God’s revelation in Torah was not without sacrifices. This paragraph is pregnant with possibilities. 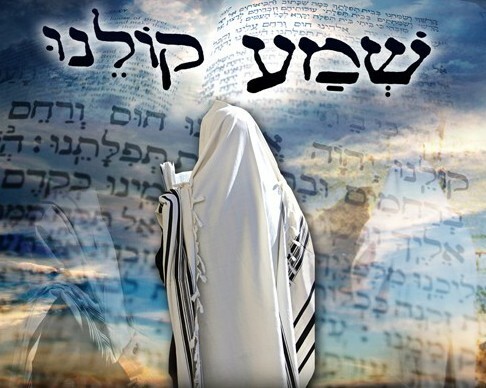 The plain meaning, as I take it, is that we can find both the value in Torah study as a means of learning obedience to God’s commandments and by performing them, gain entry into the kingdom, and the cost of discipleship and Torah study relative to the sacrifices one makes as a student of the Master and a servant of God. In this regard, the story of R. Johanan is of interest, even though it first appears in sources from the Amoraic period. Rabbi Johanan and R. Chaya bar Abba were traveling from Tiberias to Sepphoris. As they passed through some of the most fertile land in the entire country, R. Johanan began to recall how he sold certain plots of land in order to finance his studies. The talmudic legend stresses R. Johanan’s sacrifice for Torah. Rabbi Chaya bar Abba is concerned that his friend will not have the resources necessary for his old age. But R. Johanan is filled with joy because he learned Torah. The exchange was well worth the sacrifice. Rabbinic commentary is replete with examples of self-sacrifice for Torah study, with revered sages being depicted as living frugally if not in abject poverty, all for the sake of studying Torah. But these tales tend to give the impression, at least to the outsider, that Torah study was for its own sake rather than for the higher purpose of performing the mitzvot which would be pleasing to God. After all, if all one did was study without putting their knowledge into practice, is a person complete? While I think we can reasonably infer that Jesus, as a teacher, expected his students to study and learn his teachings within the larger context of the Torah, he also expected them to go and do, spreading knowledge of the Kingdom of God among the lost sheep of Israel and afterward, the nations of the world (Matthew 28:19-20). I know this once again brings up the question of Gentile disciples and the Torah. Certainly we are not forbidden study of the Torah nor even obligation to the mitzvot, but it is an obligation that has its own distinctive nature and indeed, we Gentiles in the ekklesia of Messiah have a distinct role that we must not abandon if the purposes of God are to be fulfilled through us. I recently read an article that stated in part, “My friend Aaron just called “Messianic”, Messi-Antics. When I have said Messianic in the past, I mean someone that (sic) believes the Torah is God’s way of sanctifying His elect unto Himself, whether Jew or Gentile,” implying that there is only a single method of obedience to God through the Torah, and that Jew and Gentile were offered the self-same behavioral path of sanctification. But it’s not performance of the mitzvot that makes us holy, especially mitzvot that are not apportioned to us. 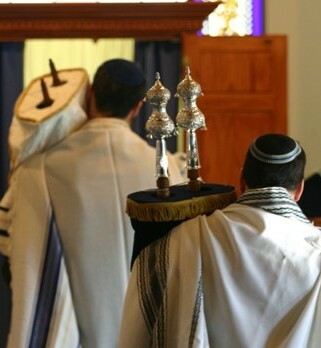 Above all else, if we don’t consider ourselves as separated from the values of the world by our faith, our repentance, our turning to God with a pure heart, our steadfast walk in continually desiring an encounter with God in prayer, then donning a tallit and laying tefillin won’t make much of a difference, even for a Jew. Nor will it matter if we call ourselves a “Messianic,” a “Christian,” or anything else. What we value isn’t a name, a label, or a brand, but rather sanctifying the Name of God. As a person who wants for nothing, it hit me pretty hard this morning to hear Homeless Shelter’s (name changed for privacy) plea for donations to help the homeless beat the heat. The Shelter believes that every person has a right to safe and adequate shelter and they’ve been sheltering, supporting, and advocating for homeless adults and children since 2005. Donations are down this time of year because people think, “Hey, it’s warm out. They’re fine.” But as you know, triple-digit temperatures cause many problems. That is especially true for homeless adults and children. And it’s not just discomfort, but heat exhaustion and other serious illnesses. So because we are a responsible company who likes to give back to our community, we’re collecting donations to help the Sanctuary help those in need. By next Friday, July 18, please leave with the receptionist any of these much-needed supplies that we may take for granted. I received that in a company email at my “day job” yesterday as a request for donations to a local homeless shelter. The person who wrote it wasn’t a manager but a regular employee who approached the charitable contributions committee where I work and asked if they would help her in fulfilling what she felt was a personal commitment to help the homeless. Fortunately, my employer is very community minded and thus, we’ve all been prompted to make various donations in cash or goods for the sake of people who have far less than we. What is of value to God? Don’t we in some ways already know what to do to please Him, to obey Him? This isn’t to negate Torah (Bible) study, since it is by study that our “instincts” to do good are refined and honed and we can not only feel but know what is right to do. So far, all of the “different” interpretations of the parables in question seem to fit together. 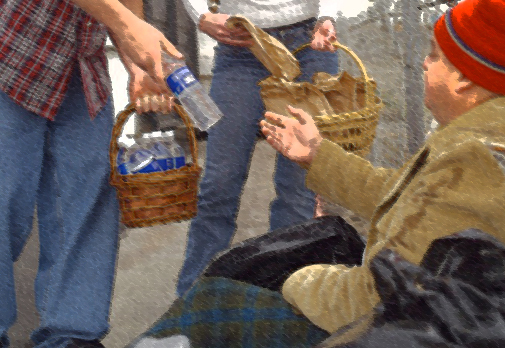 If the overarching commitment is to seek first the kingdom, that hidden treasure, that pearl of great price, then the means to do so is to study the Bible, to enter into discipleship, to subordinate all of our wants and needs to those goals, to perform acts of lovingkindness and mercy to our fellow human beings, even as God has been abundantly gracious and merciful to us. I’m less concerned about “looking Jewish” or having the wrong “religious label” than I am with buying a case of bottled water and various sun protection products and donating them to my local homeless shelter. But beyond all of that, there is still another treasure to consider. Clearly, these two parables (See Mekilta Derabbi Yishmael on Exod. 14:5) have a different reality behind their word-pictures than the Gospel parables of the Hidden Treasure and the Pearl of Great Price. Nevertheless, the images used in the colorful dramas as well as the action of the plot in each story are quite similar. 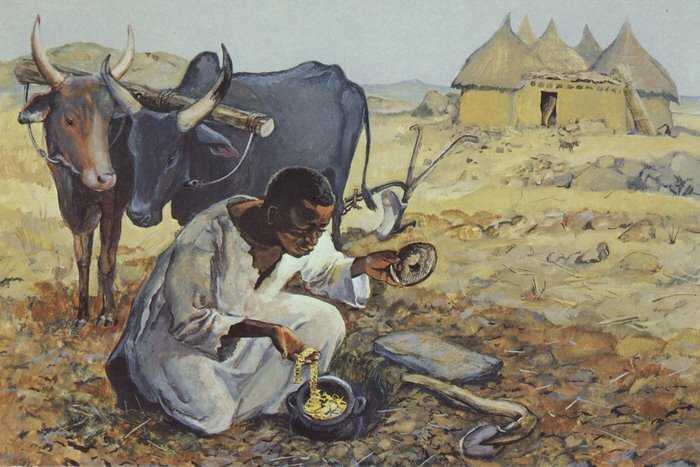 The rabbinic parables illustrate the undiscovered treasure of the people of Israel, while the Gospel texts portray the intrinsic value of the kingdom and the cost associated with obtaining it. The people of Israel became the precious treasure of God while the pharaoh of Egypt failed to comprehend the intrinsic value of the great nation he had released. By the same token, the disciple should recognize the intrinsic worth of the incomparable kingdom of God as he or she surrenders all to obtain it. Young compares the more traditional rabbinic parable of the treasure as the people/nation of Israel to the value of the kingdom of God and the cost of discipleship, but I want to take that comparison a step further. I want to say that we can bind these interpretations of value together, seeking first the kingdom, study of Torah, the cost of discipleship, and the preciousness of Israel. I think they’re interdependent. I don’t think you can separate them out into self-sustaining components. For if you toss even one of those elements onto the trash heap, the rest will go with it. Consider the recent abandonment of Israel by Evangelicals. Consider what I wrote about Yom Hashoah in the church. There is more than just human compassion in praying for the peace of Jerusalem. Even the Master said, “Salvation comes from the Jews” (John 4:22). How can we seek first the kingdom? How can we search out the hidden treasure and then sell all we own to possess the pearl of great price? The kingdom isn’t just Torah study, nor is it just performance of the mitzvot (however we choose to interpret what “performance” means). It is also loving your fellow human beings and particularly loving and supporting your Jewish fellow human beings and the Jewish nation of Israel. That is the physical seat of the Throne of David and the center of Messiah’s Kingdom. In order to assert that value, we “join the army,” so to speak, by making a commitment to Messiah as his disciples. We are students who learn by studying and by doing. We apply what we have learned by showing to others the mercy and kindness God has shown to us. Above all other nations, God has chosen to love Israel, so in that too, we must emulate the Almighty. We are partisans or freedom fighters, declaring fealty to our Lord, holding our ground, defending his Land as he even now is on the journey to return and to re-claim that which is his own. All of this constitutes the hidden treasure, the costly pearl. Am I saying in absolute terms that Jesus meant to imbue his two parables with the meaning I am assigning to them? No, of course not. How could I? I am saying that a parable can contain more than one literal meaning. I am also saying that parables can be inspirational. Interpreting a parable is like interpreting a poem or an artistic painting. The reader or observer can often extract meaning from these works that the writer or painter never meant to convey. But the meaning is just as real and, in this case, I think, just as Biblical. It’s what I hope to do with these “meditations” I write. I’m not just out to make some sort of theological point. I want what I write to inspire someone to do what they might not have done before, to entertain a thought that had never occurred to them before. It’s quite possible that the Bible contains far more than we’ve given it credit for. I don’t mean to manufacture false interpretations or to add my own words to the Bible. However, I believe that the Spirit is with us when we read the parables of Jesus and the inspiration we feel when we consume his teachings goes far beyond just a series of words printed on paper, which is what they are without the Spirit. Seek first the kingdom by seeking first the treasure beyond which all other treasures pale by comparison. Seek first God. His Spirit will provide all the wealth we will ever need. Pray for the peace of Jerusalem and learn the true origins of the current (and historic) conflict between Jewish Israel and the Palestinian Arabs. *The year 2010 was one of dramatic escalation in the efforts to drive a wedge between American evangelicals and Israel using the medium of film. In the span of that one year, no less than three major documentaries were released attacking Christian support for Israel. These were hardly the first anti-Israel movies to be produced. What made these films special was that they were focused on discrediting Christian support for Israel. While First Run Features’ Waiting for Armageddon was produced and directed by a team of secular documentarians, two other films—With God on Our Side (Rooftop Productions, 2010) and Little Town of Bethlehem (EthnoGraphic Media, 2010)—were made by Christians specifically for Christians. With God on Our Side was produced by Porter Speakman, a former Youth with a Mission (YWAM) activist while Little Town of Bethlehem was funded and produced by Mart Green, chairman of the board of trustees of Oral Roberts University and heir to the Hobby Lobby arts and crafts stores fortune. These two Christian-made films are masterpieces of deception. They feature compelling protagonists wandering earnestly through a Middle Eastern landscape in which all Arab violence, aggression, and rejectionism have been magically erased…. That’s the link to which I referred. *…while Little Town of Bethlehem was funded and produced by Mart Green, chairman of the board of trustees of Oral Roberts University and heir to the Hobby Lobby arts and crafts stores fortune. I don’t know if Hobby Lobby, Mr. M. Green and Oral Roberts University have always been against Israel or if this is another illustration in our culture of being against things Obama is for even after being for them before — as has happened in various issues. Here, it so happens Obama asked Congress to provide funding for the Iron Dome in 2010. As for what is happening with the youth or millennials in church (a focus in that article), I would also suggest considering the formidable popularity of Ron Paul over past election years during Republican primary hype, rallies, and proceedings. Now, here is someone who outright blames Israel and the U.S. for terrorism; other than that, the message is largely “me and my money” (which has been incubating in Republican edge for decades, especially for those who fancy themselves the most Christian of them all). Back to Mr. Green, Oral Roberts University, and Hobby Lobby, etc. Beside the two Roberts men (Oral and his son), there are plenty of seedy characters in the category of those to emulate such as in the “meforum” article. Sadly, while they have an appearance of being pro-Israel, they have much not to emulate and, rather, to lend toward their children rethinking what the big-time parents or forerunners embodied. *”In Asia we’ve been able to put the Gospel into over 300 million homes,” Green says. By Asia he means China, where much of what Hobby Lobby sells originates, though he’d rather not feature that fact. The justices on the Court (at this time) who are not Jewish are of the Christian history most identified with taking over and combining church and state. A corporation is not a person but a legally constructed, government backed creation with special protections and so on. I’m also concerned the decision may be the “in” for Sharia ghettos. This is a news video showing Israeli reaction to hope for Palestinian youth to do well (in other words, illustration against the accusation that Israel or all Israelis are racist) AND a statement about “rejectionism” AND more. I would add that after I watched (back when this actually happened) the real-time coverage of the event highlighted, I happen to have tuned into Fox New. I caught the tail end of Megan Kelly’s show; she threw in probably a half-minute or less of a statement on the topic. My guess is her journalistic integrity caused her to do more than follow marching orders. Indeed, PL. Glad to see you around here again. I was wondering how you were doing. Thanks, James — I’ve been a little preoccupied lately, thankfully not with dodging rocket fire; though my daughter, who has been visiting from the USA, had two distinct flights cancelled (out from under her, as it were) to postpone her return. One could be attributed fairly directly to Hamas’ threats against Ben-Gurion airport. The other may have been more the fault of severe weather on the east coast of the USA. She should be en-route homeward now (though I wish she would return home here to her birthplace in Israel). I can’t regret having had a few extra days with her, though I could not really recommend the circumstances that made it necessary. What amazes me, at least as far as I can tell by reading various news stories, is in spite of being shot at by hundreds of missiles and even with some people being hurt (and sadly, a few being killed), life seems to go on in Israel. If this were happening in the U.S., everyone would freak out and there’d be a nationwide panic attack. Edit: I’m glad your daughter is safe and was able to get a flight back home (but as you say, Israel is her true home). In church, sometimes I hear people say something like, “God wins in the end” or “God has already won” as a way to ease whatever anxieties they may have about life as a Christian (which doesn’t compare at all to getting shot at by rockets). This tends to ignore everything that is going to happen between now and “winning,” including war and many, many deaths.